The Penn Fierce II offers dependability and unparalleled power at an affordable price. Its field-proven oiled-felt drag system is extremely reliable and has the muscle to tame fish. Featuring a Full Metal Body, stainless steel main shaft, thick aluminum bail wire, and braid ready spool the Fierce II was engineered to provide unwavering performance in the roughest conditions. 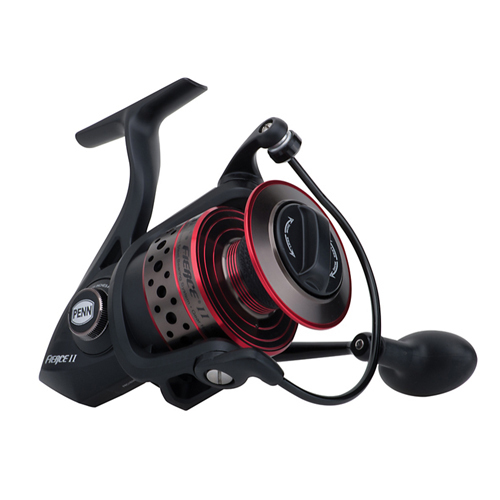 The Reel Penn Fierce II is very robust and reliable, all at an affordable price. Its sealed brake system has been tried and tested in the field, it is reliable and powerful enough to cope with the big fish. With metal frames, stainless steel gears, a pickup coil and aluminum trimmed with braid, the Fierce II reel is designed to provide optimum performance, even in extreme conditions!